For the seminar, feel free to change the colors to those of your liking! 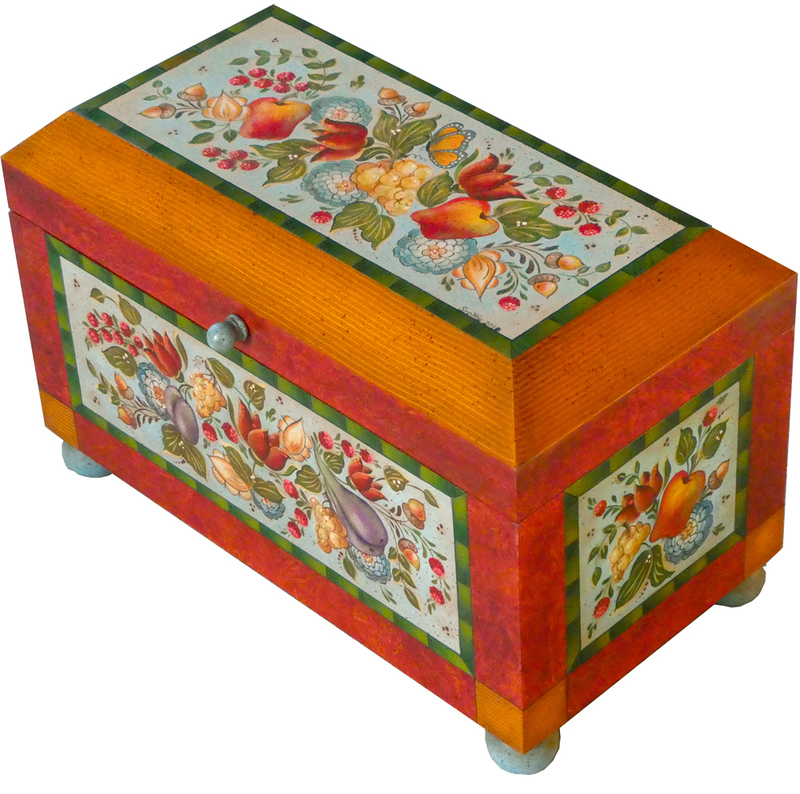 This unique chest is beautifully made with slanted sides on the lid and measures 15" long x 9 3/4" high x 8" wide with four ball feet that make it very authentic looking. 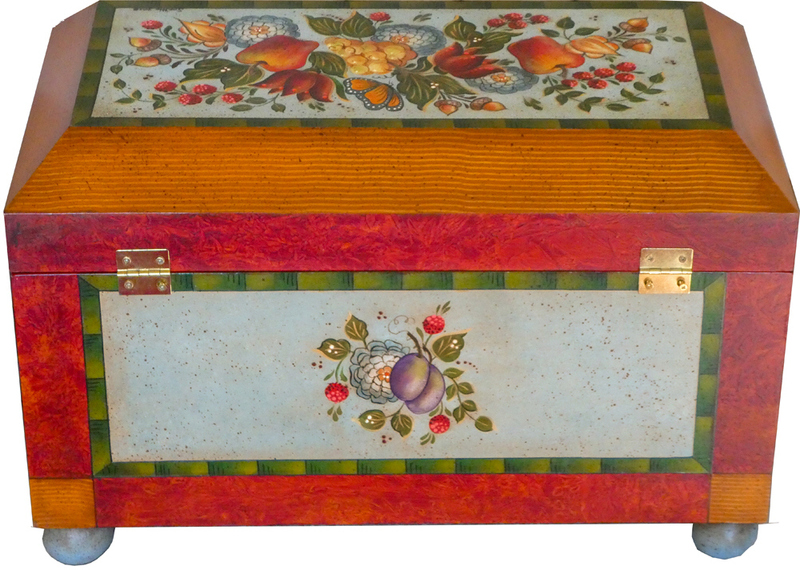 It is painted in a combination of German wet-in-wet and Austrian wet-on-dry painting with sponging and Kleister techniques. 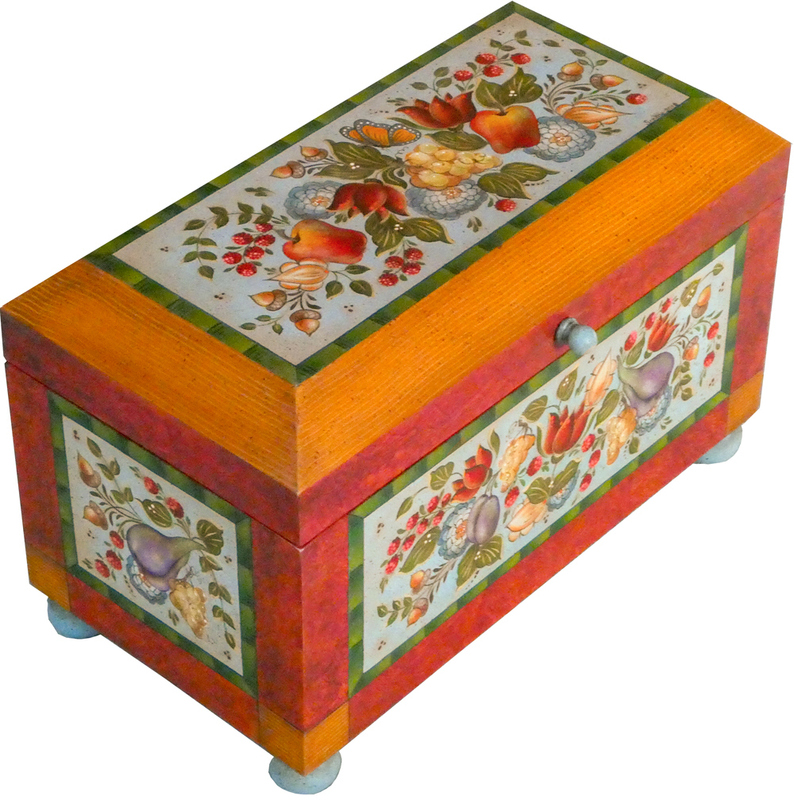 This little chest is great fun to paint! 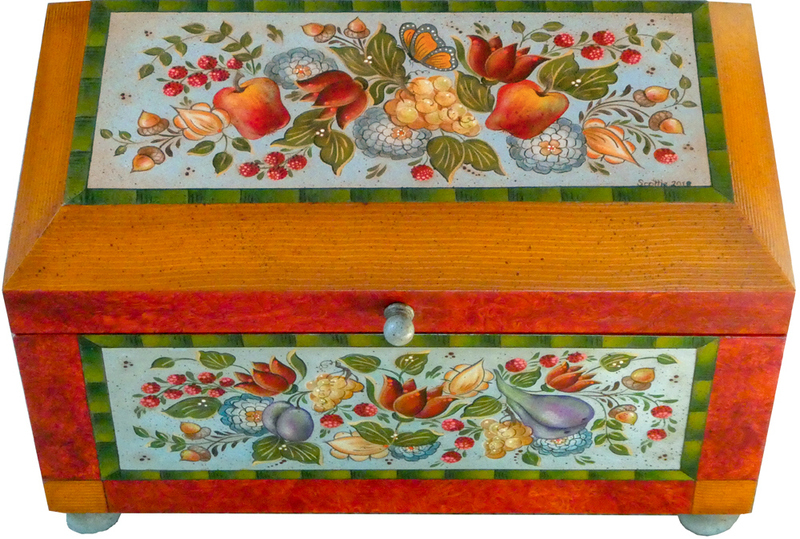 The inspiration for the colors and some of the fruit and flowers came from an old cupboard! But feel free to change the colors if you so desire. Come join us for two fun days of painting!